Agricultural pests can wreak havoc, destroying a harvest and potentially threatening crops throughout expansive growing regions. The latter was the case across Florida with the Asian citrus psyllid, an invasive insect that spreads the devastating huanglongbing disease. While there is no current cure for the disease, the psyllid can be managed with insecticide as well as the introduction of natural enemies, such as ladybugs and green lacewings. Unfortunately, applying beneficial organisms to combat invasive pests can be costly, labor-intensive, time consuming and inaccurate. Not only does a farmer have to cover hourly wages and related worker expenses for a potentially limited workforce, but precious time for other tasks is lost in this laborious effort. This could be a deterrent for producers facing mounting investments, and might push the decision to use pesticides. This dilemma sparked an idea for Chandler Bennett, who was studying Agricultural Systems and Management at California Polytechnic State University. 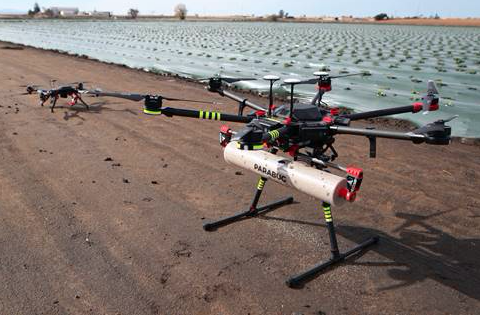 “While in an integrated pest management class, the idea just clicked to apply light-weight bugs via drone, “Bennett said. “ Although I came up with the idea then, I didn't have much time to work on it. 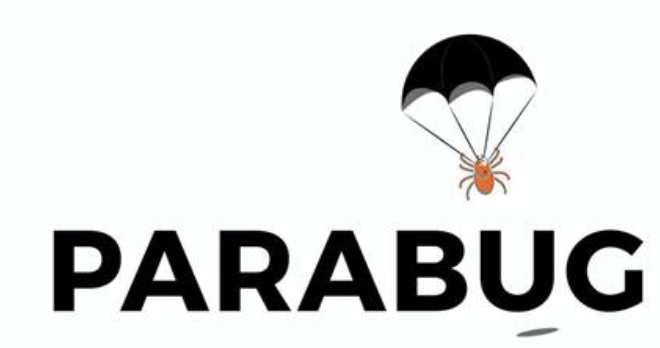 With whatever free time I had I was prototyping various ideas on how to apply these bugs.” Bennett’s new company, Parabug, has since hatched and is in the Patent Pending process, nationally and internationally, for their unmanned aerial vehicles. The Parabug drone carries a cylinder filled with various biological organisms to be scattered on fields. It can also spread fertilizer, seed and other agricultural materials; but thus far Parabug has been combatting Lygus bugs, aphids, thrips, mealy bug and mites across California. “For just about any bad bug there is a good bug that will manage it.” Bennett said. Parabug has been applying predatory mites, green lacewing eggs and mealybug destroyer to combat pest invaders. To control fly populations at dairies Parabug disperses fly eliminators, which are gnat-sized parasitic wasps. To be effective, repeat applications and targeted areas are often required, making the use of the drone system ideal. Currently Parabug has two in-house F.A.A. certified operators and five independent operators, with plans to expand to Yuma and Southern Oregon. Parabug has serviced both conventional and organic farms, as small as ten acres up to much larger operations, mainly in the Salinas Valley. Since the natural defenses are usually more expensive than pesticides, the majority of their work has been with organic high-value crops such as strawberries, lettuce, celery, cauliflower, kale, wine grapes and cannabis. The cost for Parabug applications varies depending on the operator’s fee, with independent operators charging $100 to $200, equaling about $8 to $15 per acre. The price goes down with an in-house operator, and for expansive acreage it can be fairly inexpensive. In addition to growing the company, Bennett has plans for more independent research and improvements on Parabug. He is also invested in educating the community on agriculture, by teaching children at Farm Day and presenting his application system to various agricultural colleges. Long term, Bennett aims to increase use of natural, beneficial organisms against pests and help producers in the process. "In a world where farmers need to produce more with less, we hope to help them be more successful in their pest management with Parabug by allowing them to free up limited labor and making biological control more economically viable," he said. 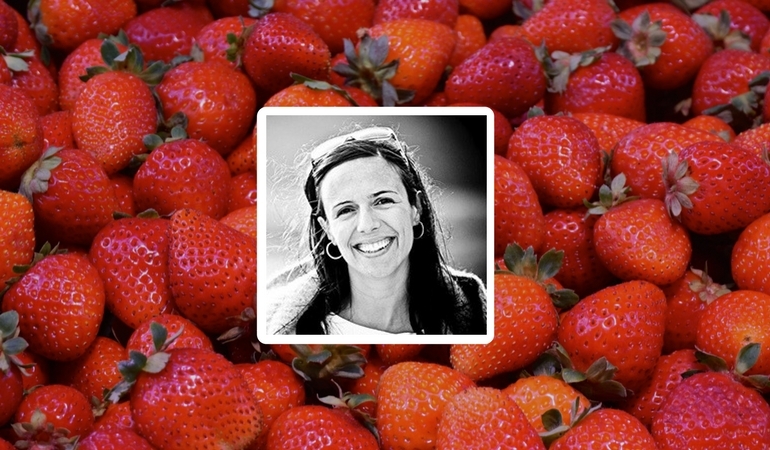 The Organic Produce Network Turns 1! On this first year anniversary, we want to extend our heartfelt thanks to our sponsors and advertisers. 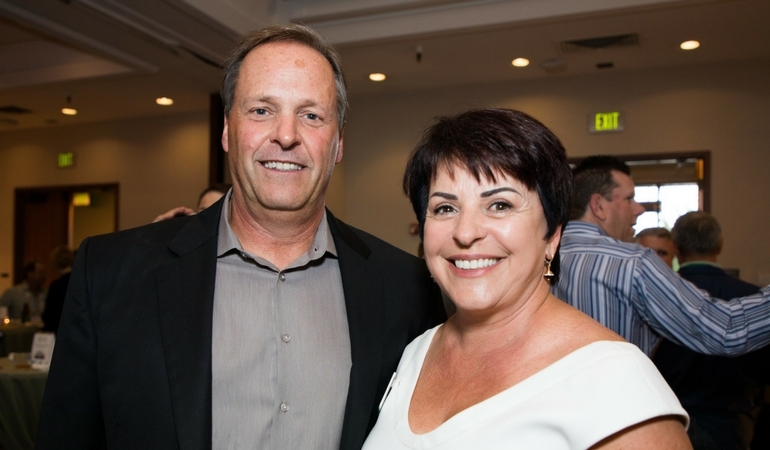 Simply stated, we couldn’t do it without your ongoing support for OPN and OPN Connect. The response to OPN Connect has been overwhelming. Today, OPN Connect has grown to over 13,000 subscribers throughout North America and the globe--and become a trusted resource for the organic fresh produce community. 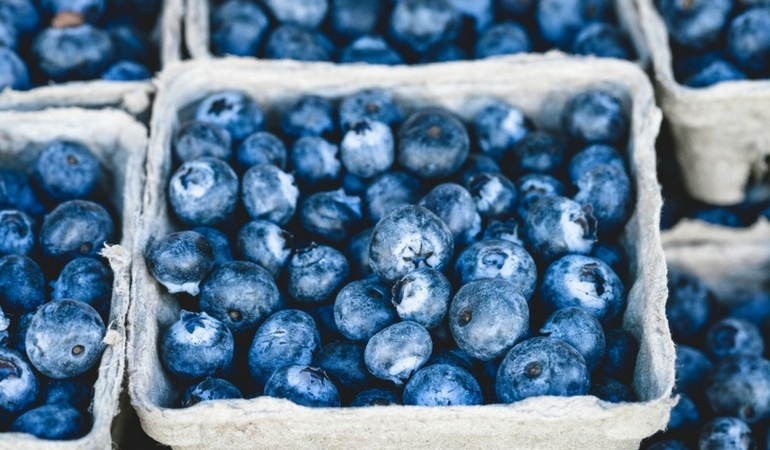 OPN recently connected with Brise Tencer, the Executive Director at the Organic Farming Research Foundation (OFRF) to learn more about the state of organic research and why policy is so important. OPN attended the 2018 CCOF Annual Conference on February 22-23, 2018, in Sacramento, California. 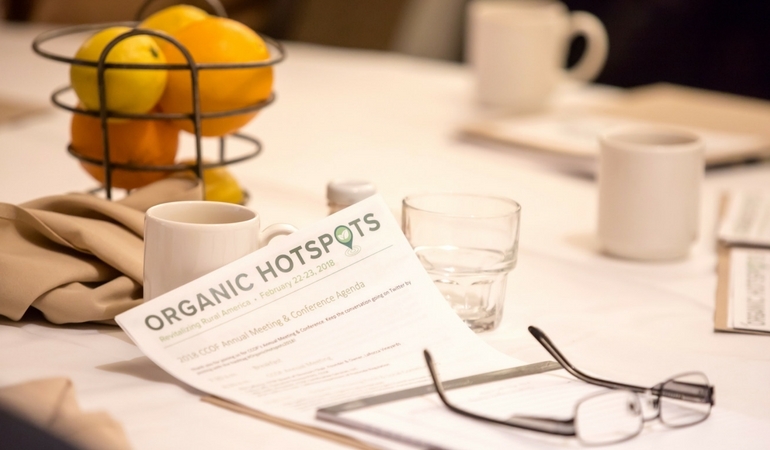 The event explored the factors that have made California a hotbed of organic hotspots activity and discussed ways to encourage the growth across rural America.